The school was established in 1890 and our rich history and traditions are firmly embedded in the culture of the school community. We actively embrace our core values of Respect, Valuing Others, Doing Your Best, Honesty and Responsibilities. Every student in our school knows that they are vitally important. 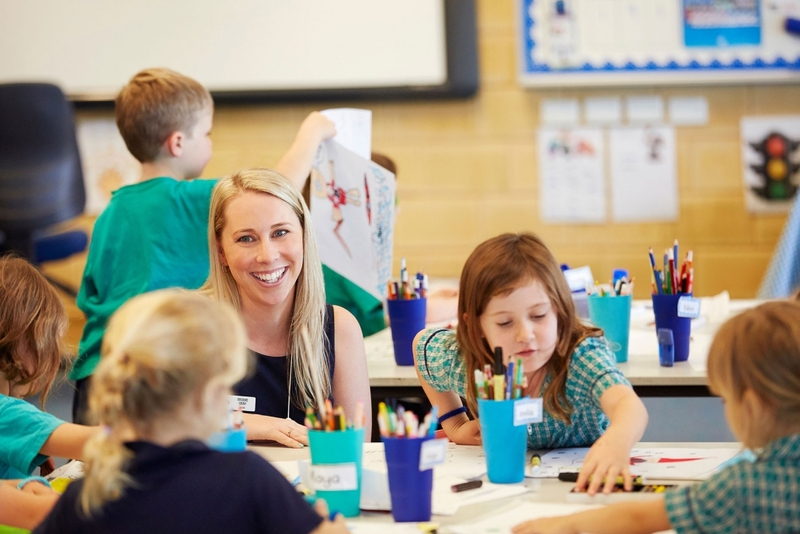 Our teachers are dedicated and highly motivated, forming close working partnerships with parents to provide a collaborative learning environment. Our school psychologist, learning support coordinator and instructional leadersprovide pastoral and academic support to students, teachers and families.Selected Years 5 and 6 students participate in the Primary Extension and Challenge (PEAC) program offered through the region. Students with a demonstrated aptitude in instrumental music take part in the Instrumental Music School Services (IMSS) program at our local intake high school, Fremantle College. 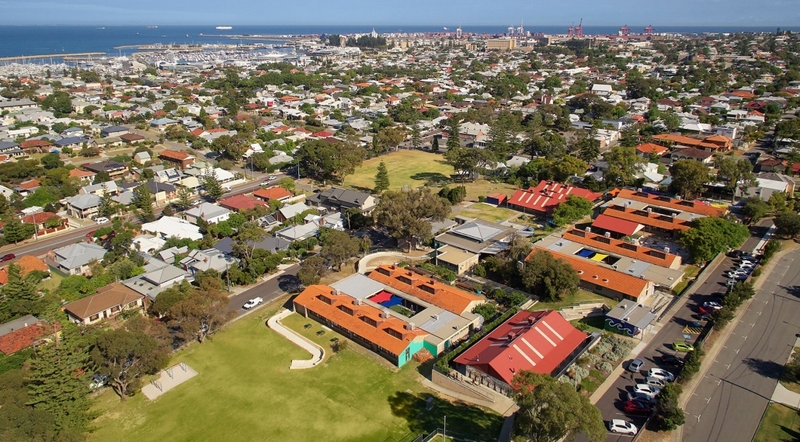 Our school includes an offsite Rottnest Island Campus located 19 kilometres off the coast of Fremantle. The campus is run as one class with students from Kindergarten to Year 6 and caters to students who have families that live and work on the island. 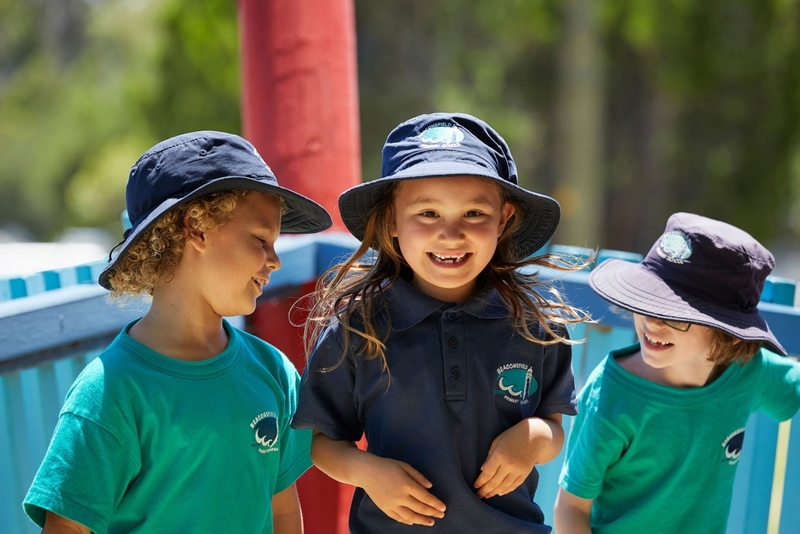 Students regularly travel across to Beaconsfield Primary School to participate in incursions, sports carnivals, assemblies and other special events. Our Intensive English Centre (IEC) classrooms are integrated throughout theschool. 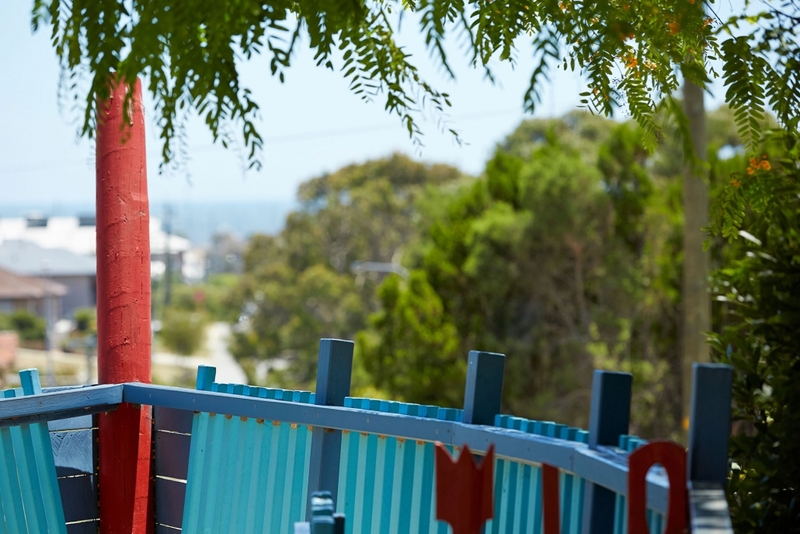 Students enrolled in the IEC come from a range of cultural and linguistic backgrounds and are supported to access the Western Australian Curriculum through explicit teaching of Standard Australian English. Students arrive by bus from suburbs throughout the South Metropolitan Region. Some have experienced limited formal schooling and will stay for up to two years. Others will stay for shorter periods as they develop English language and cultural understandings before returning to their local schools. IEC students are highly valued and contribute significantly to enriching our school community. 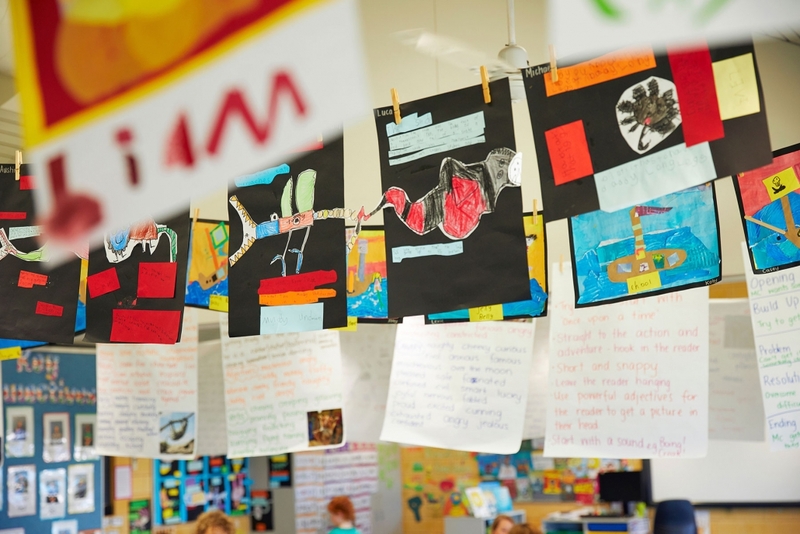 Beaconsfield Primary School has a very active and supportive Parent andCitizens (P&C) group and an effective School Board. The P&C support our school with the canteen and uniform shop, while also providing fundraising and providing community events, with school discos, community nights, busy bees and quiz nights. The school has a partnership with WANSLEA which provides before and after school care to students on-site. We have also partnered with Playgroup WA to run on-site sessions each week. 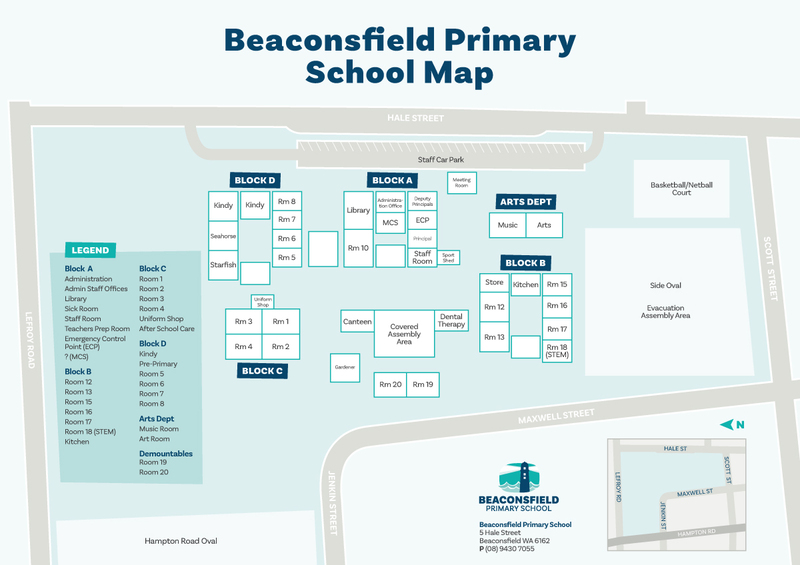 Beaconsfield Primary School is located in Beaconsfield, Western Australia. Please download a copy of our school map below.